The pale blue lamp also features snowflake and heart details. 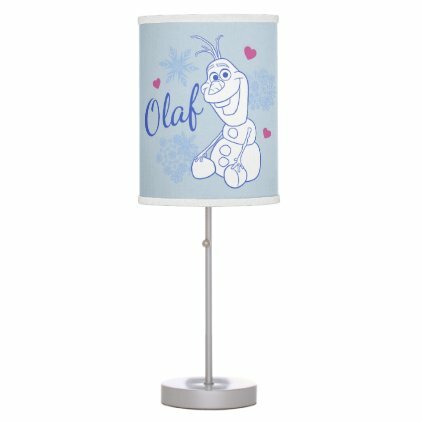 Olaf's name is written in elegant blue text. This desk lamp is customizable! You can change the background color, move the design elements around, or change the trim color or lamp shade material. You can even change the shape of the lamp -- the Olaf design elements can also be featured on a pendant lamp.